New Orleans has always had a certain gravitational pull, an infectious vibe that enters your bloodstream and lures you back year after year. Most people don’t need a special reason to visit, especially since it seems like regardless of when you arrive, the city will be celebrating something, and we all know that nobody throws a party like NOLA. While anytime is a great time to experience all the city has to offer, this year also marks New Orleans’ 300th birthday (the 300th anniversary of its founding by the French in 1718), meaning that in addition to its usual succession of festivals, parades and parties (all of which will be extra-special this year), the city has added a number of special events ranging from art installations to historical exhibits to operas, fundraisers, concerts, fireworks displays and more. The tricentennial just happens to coincide with the recent Bourbon Street facelift, the installation of event spaces and riverside parks along the Mississippi, the streetcar service expansions, and great new hotel, restaurant and bar openings city-wide. New Orleans is experiencing a renaissance, and 2018 will highlight those improvements at every turn. This year, NOLA topped just about every list for best places to visit in 2018. The New York Times listed it as number one on its global list of 52 places to visit this year, calling it a “one of a kind city” whose diversity makes it the “ultimate melting pot,” a truth that’s evident in our music, food, language, architecture and culture. National Geographic Travel, which named NOLA one of the best cities in America, calls out the city’s burgeoning Warehouse District, where mills and storehouses have transformed into some of the city’s best bars, music clubs, restaurants and hotels. 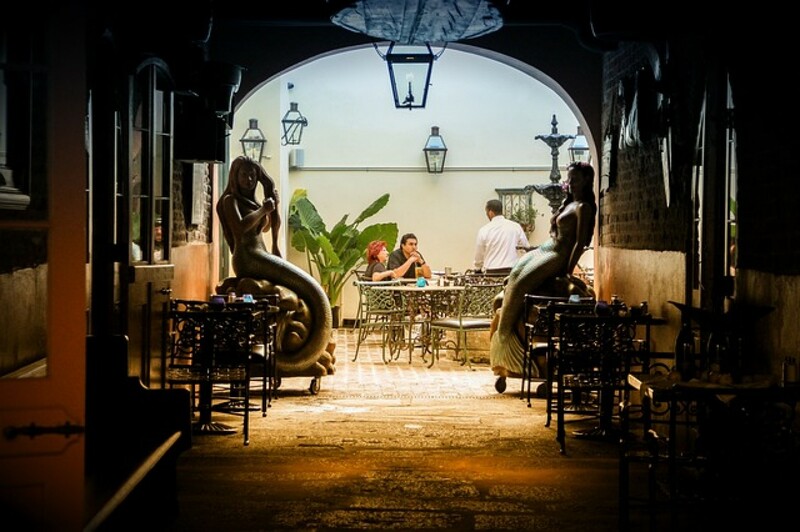 And NOLA has also been featured in recent “best of” lists for Travel + Leisure, Conde Nast Traveler, Travel Weekly, Fodor’s Travel and Frommer’s. It’s true that Mardi Gras and Jazz Fest will be better than ever this year, with extra celebrations and fireworks displays to honor the tricentennial. But did you know that NOLA now hosts 160 festivals each year? And some of the lesser known, emerging festivals are definitely worth your attention. Bookworms, film and theater buffs will love the Tennessee Williams Literary Festival, The Faux Real Festival or the New Orleans FilmFest. Or, for music lovers, there’s the alternative music festival Buku Music + Art Project, French Quarter Fest (which is entirely free), the ESSENCE Festival, or the Voodoo Music + Arts Experience. And, of course, NOLA has its fair share of food and drink festivals, as well, just a few of which include the Po-Boy Festival, Tales of the Cocktail, Treme Creole Gumbo Festival and FoodFest. And that’s not even touching on what happens on St. Patrick’s Day or Christmas. Prospect.4 is a citywide art exhibition that’s tying into the tricentennial this year by celebrating the city’s history with the theme: The Lotus in Spite of the Swamp. During the exhibit, art from local and international artists will be spread across roughly twenty venues, from museums to hotels to billboards to streetcar stops. If you can’t make it to Prospect.4, check out the galleries in the trendy Bywater District, or the graffiti portraits at Studio Be. If you can’t experience one of the city’s music festivals, there are plenty of other places to take in the city’s sounds. You’ll probably encounter plenty of music just walking through the streets, but other places worth checking out include the small bars and clubs along Frenchman Street, Preservation Hall in the Quarter for traditional brass bands, the dance clubs along St. Claude Avenue, or even a concert at the Saenger. Also worth noting is the city’s free Wednesday afternoon concert series in Lafayette Square, which runs from March through May, called Wednesday at the Square. Whether you’re looking for an opulent dinner in one of NOLA’s oldest and most revered establishments (Antoine’s, Commander’s Palace or Galatoire’s) or a trial of one of the city’s latest award-winning eateries (N7 for amazing French food, a sandwich from Turkey and the Wolf, the Asian-Southern fusion available at Marjie’s Grill, local bistro fare at Sac-a-Lait), or even just a premade Muffuletta from Central Grocery, we’ve got you covered. And don’t forget to hit up a jazz brunch at either The Court of Two Sisters or Muriel’s. And a drink from the famous Carousel Bar at the Hotel Monteleone! Other 2018 events and attractions worthy of your attention include NOLA Navy Week, the Running of the Bulls (spoiler alert: it doesn’t actually involve bulls) and the laundry list of cool things to do for Halloween. This year is the perfect time to take in New Orleans’ beauty and history as it takes center stage all year long.